My kind of Luck: so I'm walking to the bus stop one morning and decide to make a phone call. The street is deserted except for one guy about two blocks away pushing a snow blower. I dial the number and switch the phone to my gloved hand while trying to get the other glove back on my dialing hand. There is no answer but I get a voice mail greeting. A very long voice mail greeting. The greeting finally ends and the beep to leave my own message sounds at the same moment I get to the guy with the snowblower such that it drowns out my voice as I'm leaving a message. Because the Church doesn't have anything else going on: During our wedding rehearsal, the priest shocked us with a surprise. 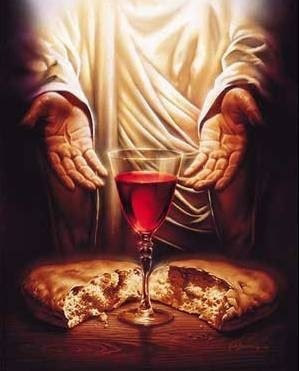 He didn't want anyone taking communion if they hadn't been to confession recently. And by recently, he really would have preferred five minutes before our ceremony but recognized that might be unrealistic for heathens like our friends so any time between rehearsal and ceremony would do. Note: our rehearsal was on a Thursday and Nightingale and I already had to go to confession because it is standard practice...and we were already living in sin. While it wasn't a concern for our non-Catholic friends, our brothers-in-dogma were stunned. Back in the day, you had to go to confession before you accepted communion and since you were a good Catholic that attended mass regularly, you were going to confession a lot. However, Across the Chicago Archdiocese, that old rule was re-interpreted after Vatican II. Essentially, you just had to go to confession once a year. Just before our ceremony, I had a quick conversation with the priest. I explained how a good many of my friends do go to church and that places like Old St Patricks, St Vincent DePaul and even Holy Name don't require confession before every Sunday Mass. Priest: I know how it is in America. But that is not the way it should be. Icarus: Okay, your church, your rules. As I expected, during the ceremony, many of my catholic friends did come up to receive communion. So many in fact that he had to go back to the altar for wafer reinforcements. We both know that none of my friends went to confession. we both also know that he couldn't exactly call them out about it. Basically, he won the battle but I won the war. Is that how they do it on your Planet?